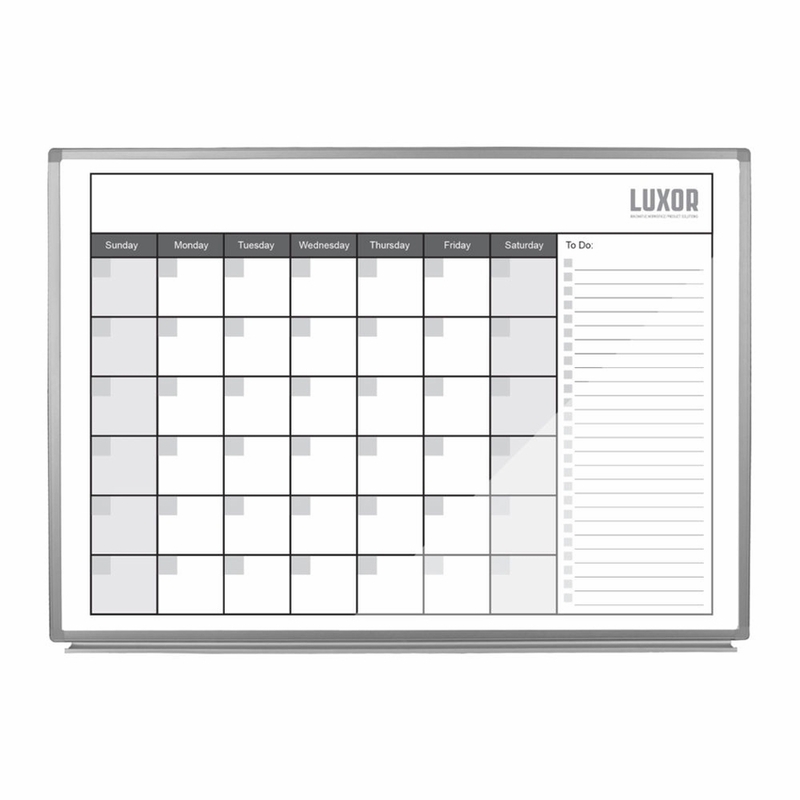 Home > Shop By Category > Stock Graphic Markerboards > Luxor Magnetic Dry-Erase Monthly Calendar 48" x 36"
Take charge of your schedule with the Luxor 48” x 36” magnetic dry-erase monthly calendar. 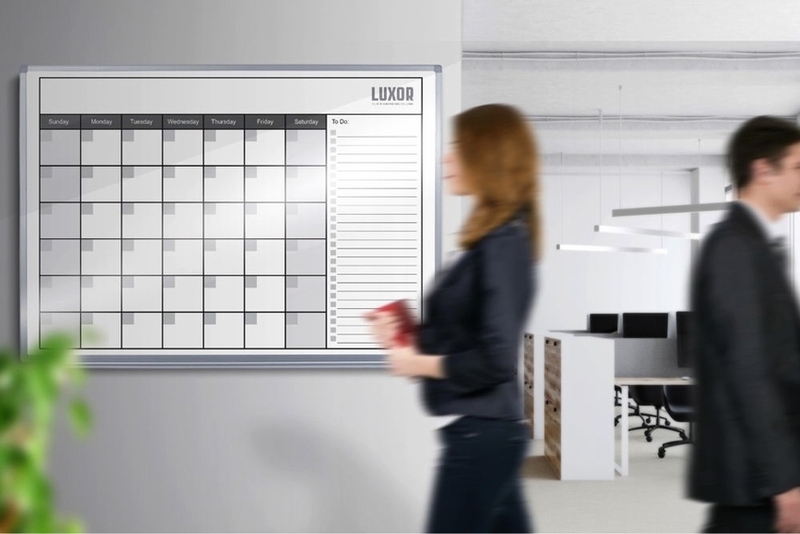 This wall-mounted, whiteboard calendar features a one-month design with sizeable writing spaces for each day of the week and an adjacent to-list to keep teams organized and productive. 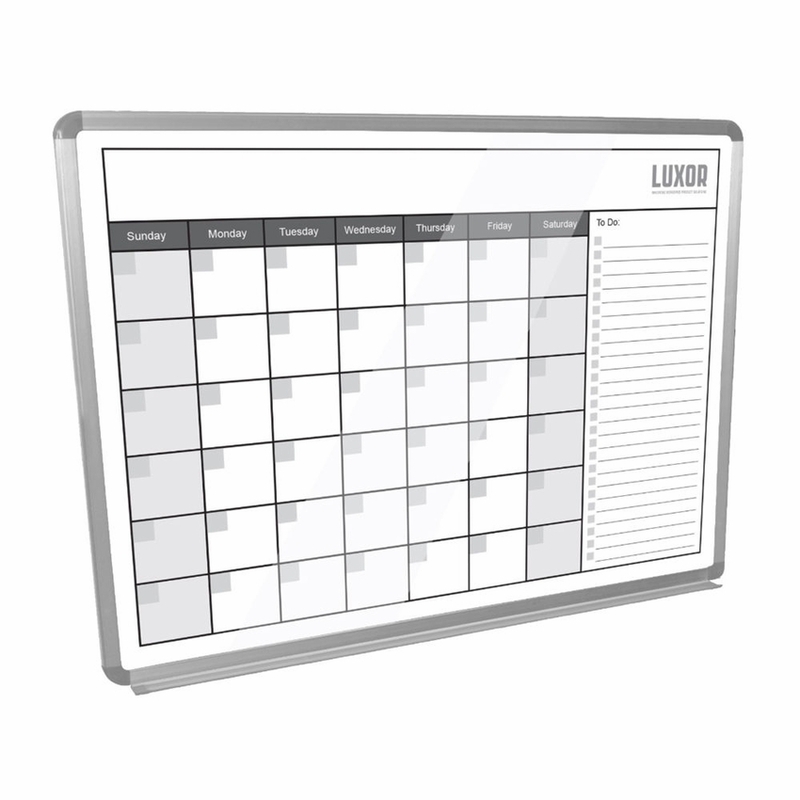 Suitable for businesses, classrooms, and retail venues, the bright white calendar board with its sleek aluminum frame and attached marker tray brings a modern look to any environment. 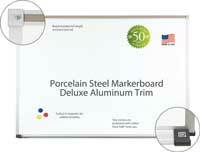 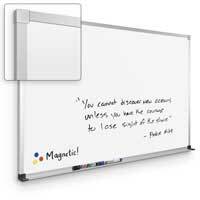 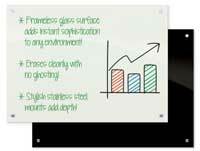 The painted steel dry-erase surface provides a smooth writing finish that resists ghosting while the magnetic feature allows printed documents and notes to be easily displayed. 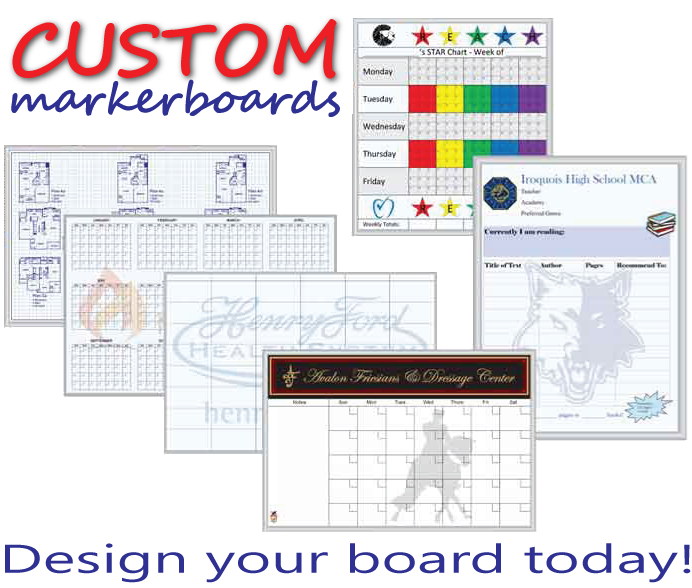 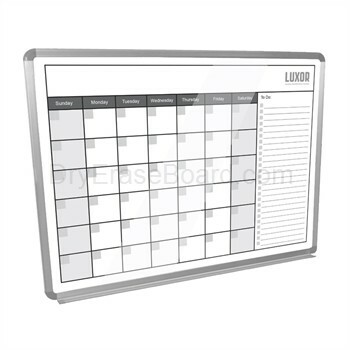 Lightweight, durable, and easy to mount, this large whiteboard calendar is the perfect time management tool that can be used month after month.